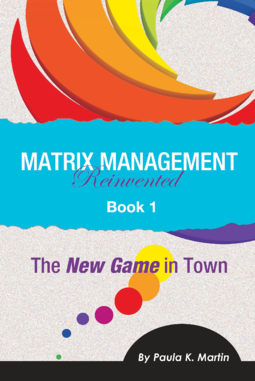 Meet Leon, the CEO of an international company, and Lisa, a Matrix Management 2.0™ consultant. In The New Game in Town, they begin their journey discussing Vertical Management, and how it’s no longer adequate to address the operational challenges Leon faces. "Just finished reading The New Game in Town. Great book! It's simple and straight forward — the best way of explaining the complexity of moving from VM 1.0 to MM 2.0™. I like your approach of using storytelling, and the way you've incorporated the systems perspective (and a bit of game theory). It gets the point across very well."